UPDATE: Stream is over for today, thank you for joining us! Be sure to tune in on Wednesday at 4 p.m. Pacific! We're still getting everything into alignment as we explore the best ways to tackle Twitch. We had our first official live stream yesterday and got some great feedback from the community. For that we are truly grateful. Jon is back again today to stream Diablo III: Ultimate Evil Edition for Xbox One. 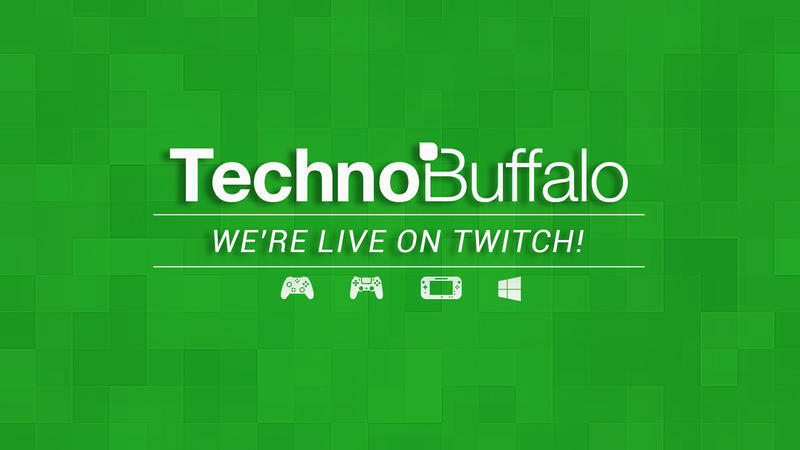 Come by our Twitch channel (twitch.tv/technobuffalo) to hang out. Jon will be answering questions live and otherwise getting into his usual shenanigans. We're really excited that Twitch allows us to interact with the audience on a more intimate level, and the more of you that show up the better. As we have said before, if you have any suggestions of what to play, let us know. One thing we're going to focus on in the future is letting the audience play along with us, so stay tuned for that. Until then, join us as Jon (and maybe Todd!) crawls through some dungeons. Well be streaming everyday, Monday through Friday, from 4 p.m. PT until 5 p.m. PT—sometimes later and during other parts of the day. If you're somewhere overseas, we're working to accommodate you by introducing an earlier stream in addition to the scheduled 4-5 p.m. PT slot we have in place now.